CREDIT: Fleischhauer, Carl, photographer. 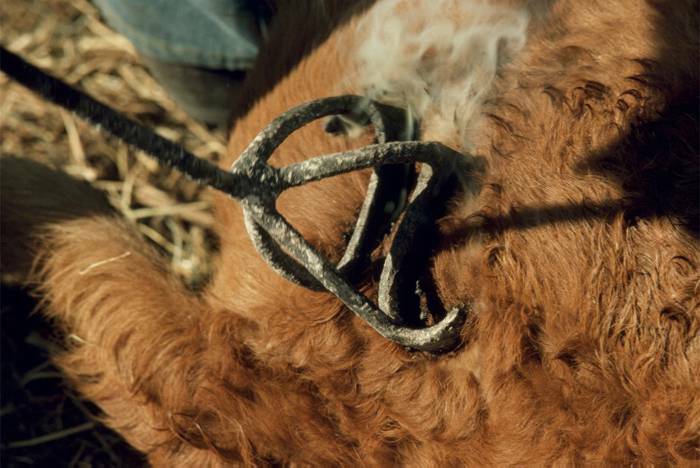 "Branding Iron [35mm slide]." Date Recorded 79/10. Buckaroos in Paradise: Ranching Culture in Northern Nevada, 1945-1982, Library of Congress.